A private jet to Las Vegas might just be the ultimate trip in luxury, class, and opulence. But what does the city have to offer besides casinos and the Las Vegas Strip? Maybe your idea of Las Vegas involves neon, slot machines and little else. And if that’s the case, you’re missing out on so much of this lively city! 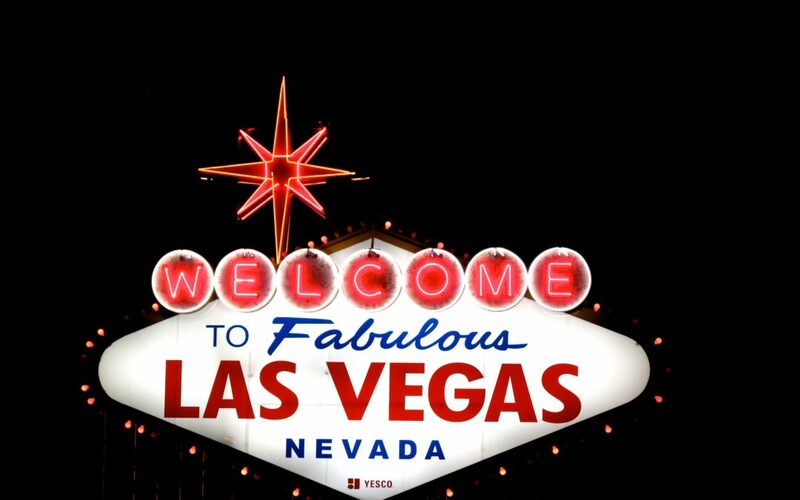 Vault Aviation knows its way around Sin City and would love to fly you there. Keep scrolling to read about Vault’s top 4 reasons (besides the slots!) to take a private jet to Las Vegas. Because Sin City offers a lot more than The Hangover would like you to believe. Let yourself experience the beauty of the desert city and see why Las Vegas is one of America’s favorite private jet charter destinations. Can’t get to all 4 in one visit? Good thing Vault Aviation’s Max Jet Card makes it easy to book multiple trips. Need just two treks to Vegas to get your fill? Then check out our On Demand promise. Maybe one or two of us are hockey fans here at Vault Aviation, or maybe we just love the irony that a city in the middle of the Nevada desert is ranked 5th in the Pacific Division. Either way, taking a private jet to Las Vegas to see the Vegas Golden Knights play is a truly unforgettable event! But don’t just go for the game, the crowds, or the fights – make sure to check out the other attractions in Las Vegas while you’re there cheering on the Golden Knights. Bring all your memorabilia to get autographed – because when you fly on a private plane with Vault Aviation, we make sure that there’s plenty of room for all of your priceless treasures. Even if you think you know the best eateries in Las Vegas, we recommend checking out Block 16. It isn’t the ‘all-you-can-eat’ casino bar food or the themed restaurants you might expect. Inside the Cosmopolitan, Block 16 is a culinary destination of restaurants in a beautiful venue that’s sure to meet every single one of your foodie desires. Have a large group? There’s something for everyone’s palate at Block 16. Let Vault Aviation fly your whole party there on one of our Super Midsized Jets or our Turboprops. Just like Block 16, Vault Aviation has something for everyone. A match made in heaven? We think so! Think you’ve seen all there is to see in Las Vegas? Think again. The Cirque du Soleil group have fully outdone themselves with the Cirque du Soleil O show in Las Vegas right now! We recommend you get there ASAP to see this magnificent aquatic masterpiece. Lucky for you a private jet to Las Vegas is the fastest way to get into the flashing city. Make sure you take a second to soak in the view from your choice of window seats – the Strip looks pretty fantastic from a private plane! So, if you want to see some truly soaring sights in the theater and from the sky above, make sure you Fly Like a Champion with Vault Aviation. Call us today to book your private jet to Las Vegas to see Cirque du Soleil O before they disappear! Maybe the nightlife of Las Vegas isn’t for you – maybe you prefer sunshine and Screwdrivers over moonlight and Martinis. But that doesn’t mean you have to miss out on all the fun! Enjoy a relaxing day poolside at Foxtail Pool’s Dayclub and never miss out on those ZZZ’s. Want to enhance your relaxation vacation? Then consider taking a private jet to Las Vegas with Vault Aviation’s superb service, luxury, and ease. Everything Las Vegas offers doesn’t have to be loud banging music and late nights. There truly is something for everyone in Sin City – even if you don’t feel like being sinful. Do You Want to See the Vegas Golden Knights, Cirque du Soleil O, Eat at Block 16 or just relax at Foxtail Pool’s Dayclub? If you are a sucker for a good slapshot, acrobats on water, food as far as your eyes can see, or a swim-up bar, then call Vault Aviation today to see the difference we can provide in your next charter jet flight to Las Vegas. Whether you need a private jet charter just for you or if you’re flying your family, business associates, or your closest friends, we have a jet that fits your needs and the quality and service that’ll exceed your expectations. Give us a try for your next private jet to Las Vegas and Fly Like a Champion today!